Passengers on a Virgin America flight from Los Angeles to New York spent more than six hours stranded on a tarmac, received little food or water, and had to take the last leg of their journey by bus - arriving some 14 hours after they departed. The flight left Los Angeles International Airport about 20 minutes late. As it neared New York, John F. Kennedy Airport was experiencing dangerously strong winds of 60 mph or more and the plane was forced to divert to Stewart International Airport, about 70 miles northwest of the city. The plane stayed on the tarmac at Stewart for more than six hours as the pilot and crew monitored the weather and seemed to promise a nearing departure again and again - and the passengers grew increasingly frustrated. Martin described an increasingly tense scene on board the airplane. He said that when one passenger asked a question, the flight attended roared back, "You are really getting on my freaking nerves! You need to shut the hell up!" Martin also said that passengers were barred from leaving the plane and entering the airport terminal despite the long delay at Stewart and that at one point police boarded the plane as the flight crew "lost control" of frustrated passengers. Ultimately, Jet Blue employees - helping out a competitor with no regular facilities at Stewart - arrived to put the passengers on buses to JFK. They arrived around midnight ET after leaving Los Angeles around 10:30 PT that morning. 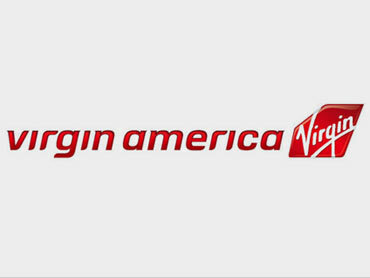 Virgin America has disputed some of the descriptions of the flight, saying that the plane was only grounded for 4 ½ hours and that passengers were in fact allowed inside the terminal. In December, the U.S. Department of Transportation announced new rules that - with limited exceptions - bar airlines from keeping passengers on a plane on the tarmac for more than three hours. The rules provide a fine of up to $27,500 per passenger on board the flight. Whether or not Virgin allowed some of its passengers to deplane and enter the terminal at Stewart remains in dispute. But under the rule, the airline must deplane all passengers before the three-hour mark - not just provide that option to some - reports CBS News producer Carter Yang. The new DOT rules also state that "carriers are required to provide adequate food and potable drinking water for passengers within two hours of the aircraft being delayed on the tarmac and to maintain operable lavatories," which some passengers say were not done. "The department is investigating this incident," DOT spokesman Bill Mosley told Yang. "We can't speak to the facts yet. We have asked for the carrier's report on what happened." Virgin has apologized to passengers. "After reviewing the particular circumstances of this diversion, we agreed that we needed to have done a better job with communicating a difficult situation to our guests," the company said in a statement. The CEO also sent a passengers a letter providing a refund for their tickets and an additional $100 for future travel. It remains to be seen whether any of the passengers will put those credits to use.